Coming from Venezuela, Mojo Pojo is a melodic progressive rock band formed from the jam sessions of Enrique Vivas (v,b) and brothers Luis and Jorge Gonzalez, keyboards and drums respectively. Later they add talented guitarist Antonio Narciso to the fold. Their self-titled debut combines fine melodic rock with vocals (often in Spanish) with ambitious prog rock instrumentals. While the former songs are interesting, and not to dismiss Enrique's voice, it is the instrumental arrangements which truly distinguish this work. The vocal driven pieces seem to be composed as compact units with a lesser degree of freedom of expression. However, the instrumentals sound more free-form, flowing and vivacious as Mojo Pojo delivers ethereal and complex prog rock fusion. The opener Nose Won captivates with Jorge's drumming. McPojo Thai is fast-paced and rollicking displaying some thrilling bass work within the precision rhythm section. All players shine and the arrangements are massive and compelling on the last two instrumentals, Hole Tone and Birds at Dawn. Though I was mostly entertained by the instrumentals, mention must be made of two of the vocal songs. Stained has a hard rock edge and an impressive guitar solo from James Murphy (Testament, Obituary, Death). Regreso starts slow, nearly mediocre, but quickly excels in melodic flavor and then adds a fine sax solo from Julio Andrade. Mojo Pojo's debut project is a fine work merging melodic rock with impressive arrangements of progressive rock fusion, with instrumental pieces rising above all the other songs. Very recommended. 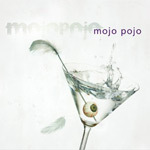 Mojo Pojo's debut project is a fine work merging melodic rock with impressive arrangements of progressive rock fusion, with instrumental pieces rising above all the other songs.